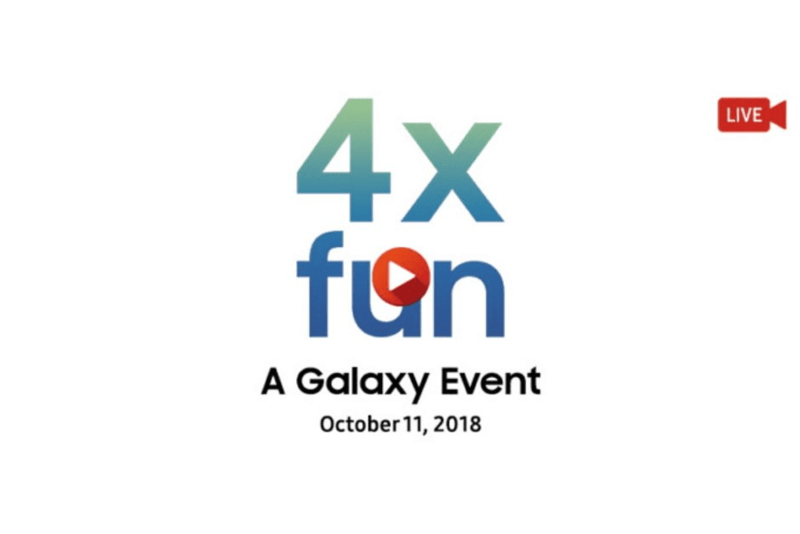 Tomorrow Samsung will unveil its first smartphone that bears a quadruple-camera on the rear dubbed the Galaxy A9s in a mysterious "4x" event in Malaysia. Now today, the smartphone has been spotted on the Geekbench under the model number SM-A9200 revealing key specifications. 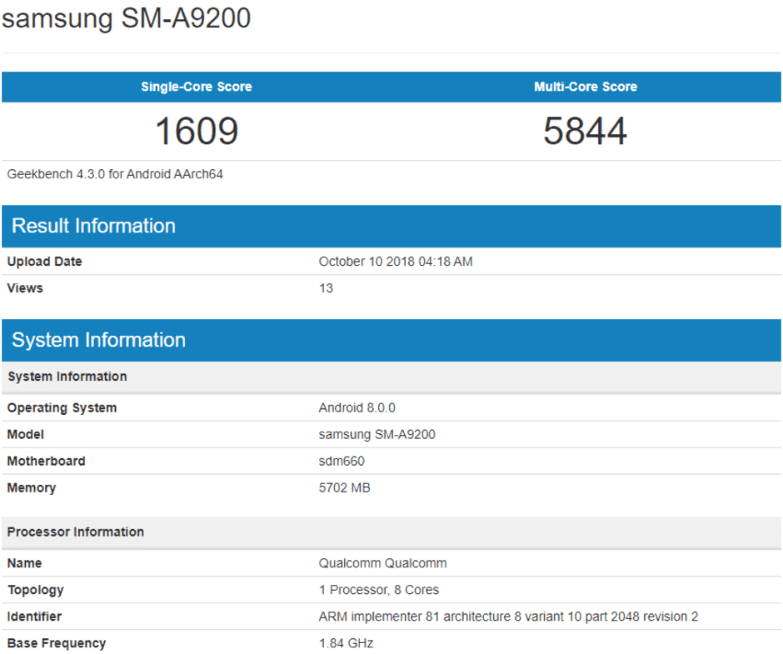 According to Geekbench listing the smartphone with an unknown processor has achieved a score of 1609 points in single core score and 5844 in multi core score. Even though the listing does not revealed the exact processor but looking at the the its seems to be a Snapdragon 660 chipset. The listing has also revealed a 6GB RAM with Android 8.0 out of the box. The ''4x'' event set in Malaysia will be live streamed and the latest rumors suggest that the A9s will probably be marketed for the Asian market only. Recently leaked specs sheet has revealed that the Galaxy A9s will feature a 6.28-inch AMOLED Infinity display with a resolution of 2200 x 1080p. The device will feature four camera on the rear with a 24MP main sensor that has an aperture f/1.7 and OIS, while the second sensor will be a 5MP camera with f/2.2 aperture and it will acts as a depth sensor that is used for live focus. Similarly, there will be a telephoto camera with double the resolution and twice the optical zoom length, the last one will be a 8MP camera with 120º wide-angle. On the front there will be a 8MP camera for selfies.